SEOUL -- YG Entertainment, home of K-pop bands BIGBANG and BLACKPINK, will unveil a new boy band comprised of six trainees who participated in "Treasure Box", the company's music audition survival TV show. "I will soon make an announcement for the second team comprised of six members," YG head Yang Hyun-suk said Tuesday in an Instagram post that came a day after the entertainment powerhouse disclosed the name of "TREASURE", a new group comprised of seven trainees from the survival show. TREASURE groups Bang Ye-dam, So Jung-hwan, Kim Jun-kyu, Park Jeong-woo, Yoon Jae-hyuck, Choi Hyun-seok and Haruto, a Japanese trainee. 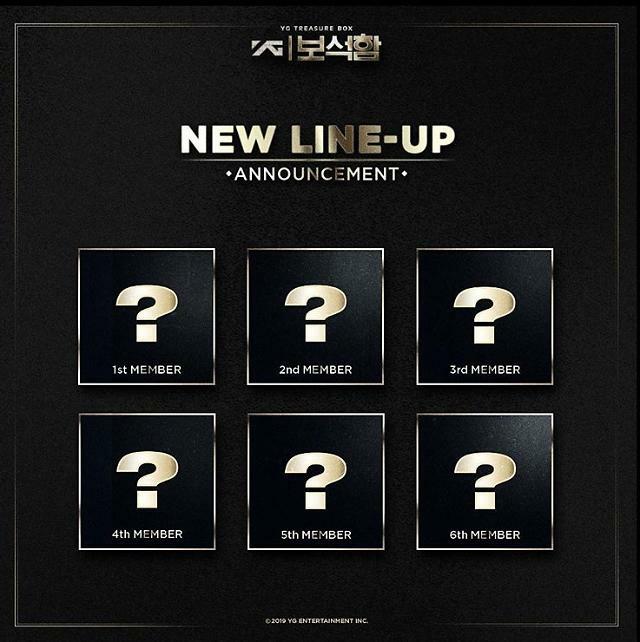 YG did not disclose the names of the second group and its members. A total of 29 trainees participated in Treasure Box, which was aired from November 16. Two other YG boy groups, WINNER and iKON, debuted in 2014 and 2015 respectably. WINNER and iKON members were the survivors of a TV audition show.